From the 4th to the 6th of June 2018, in Moscow, the International Geographical Union (IGU) will be holding an international thematic conference entitled “Practical Geography and XXI Century Challenges”. The conference will celebrate the centennial anniversary of the Institute of Geography of the Russian Academy of Sciences (RAS) – the largest and oldest geographical research organization in Russia. During this event, a special session will be held on the Use of Place Names in Public Space. The conference will be held in the buildings of the Russian Academy of Sciences in Moscow’s historical center near the Moskva-river. 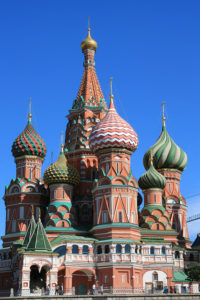 The conference program includes scientific two-hour bus tour around Moscow. More information can be found at the conference website.